Moving from Florida to New YorkThe most popular move is between FL and NY. Starting from as low as $1299 to move from Miami to New York, Easy Florida Moving also offers flexible schedule and exclusive options for straight delivery. One of our most popular interstate relocations is definitely moving between Florida and New York. Move from Miami to Brooklyn and reverse is that what is our customers are usually ask about. 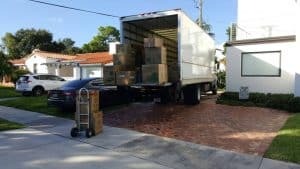 Moving specialist from Easy Florida Moving will always find the most affordable and cheap moving to New York State using our service. We do it on daily basis and more than familiar with all of the requests that you may have regarding your upcoming relocation to or from NY. 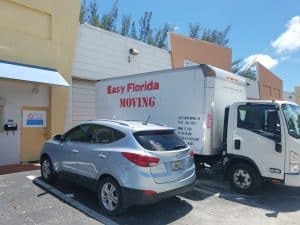 This service works just as Easy as the rest of our services at Easy Florida Moving LLC. We will deliver your household goods across the State line with no stress and damage. We get a call from you. Then we can either go everything over the phone or we schedule a convenient time for you and one of our managers to come by to your location and evaluate all the stuff which you are planning to move. He will make some suggestions and remarks (such as which packing material to use for which items, what to pack first, and whether larger items need to be taken apart etc..) which will help you make the move easier, faster, saving you both time and money, and essentially turn your move into a professional and pleasant move. Our manager makes a list of all these items and calculates the load size and time it will take to make it happen. According to the list you both come up to at the end of the evaluation you will get a detailed quote. Alex is more than just a professional, he is understanding of each unique situation. He worked with me remotely as I tried to coordinate a last minute local move for my mom who is going through a difficult time. He eased my fears and kept in constant contact. His team of movers were beyond fantastic and diligent. I highly recommend this moving company and will turn to them first if I need to do this again.